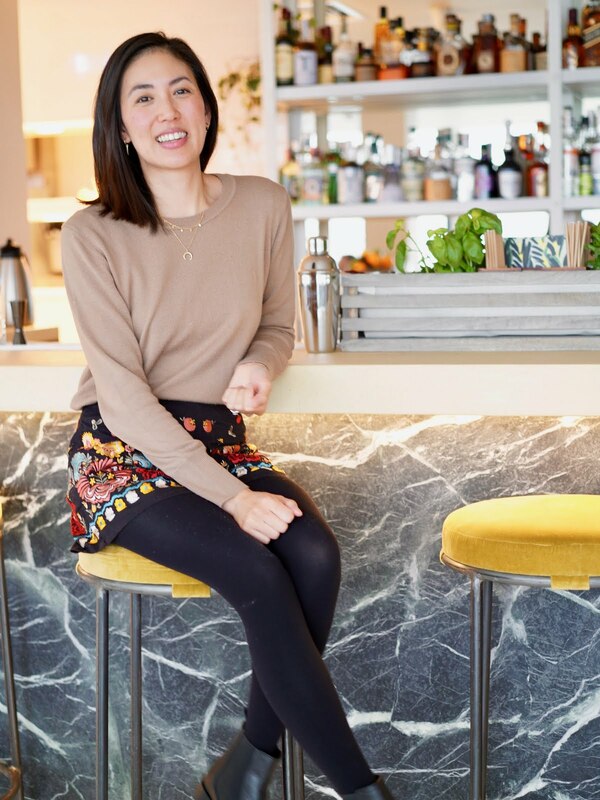 You know how some beauty brands just make you feel instantly luxe and sophisticated? For me Lancôme is definitely one of those brands. 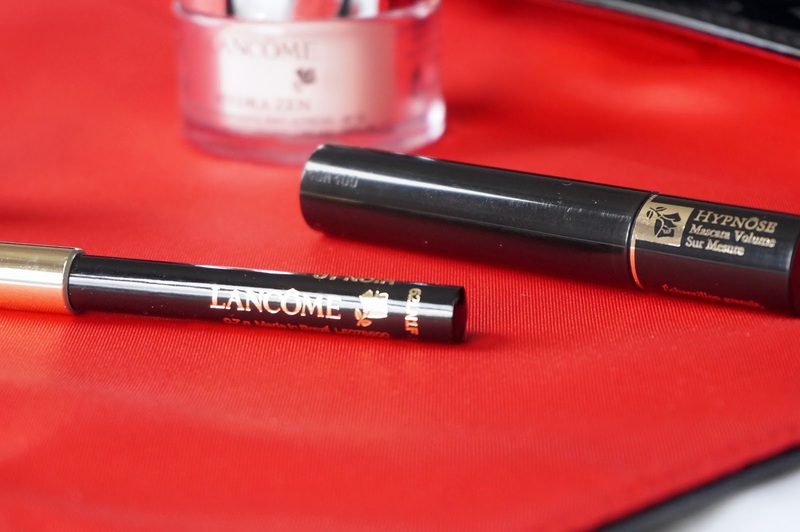 One of the first mascaras that I treated myself to when I had enough Boots points was the Lancôme Hynose Drama. 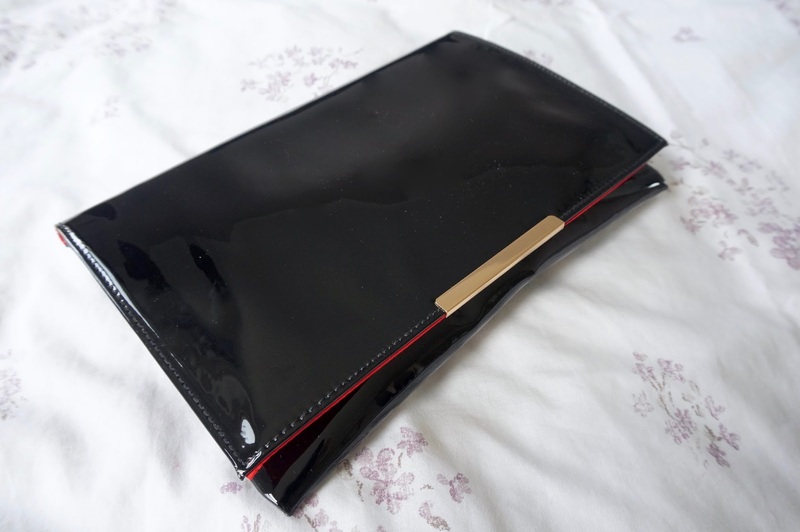 A spendy purchase but well worth the treat! Debenhams kindly sent me the current Lancôme gift with purchase* to share with you ladies. You can get this gift set in sample sizes, when you buy any two Lancôme products, one to include their foundations. You can check all products available on the Debenhams site, including their Bi-facial eye makeup remover, Artliner 24H Liquid Eyeliner and juicy tubes. 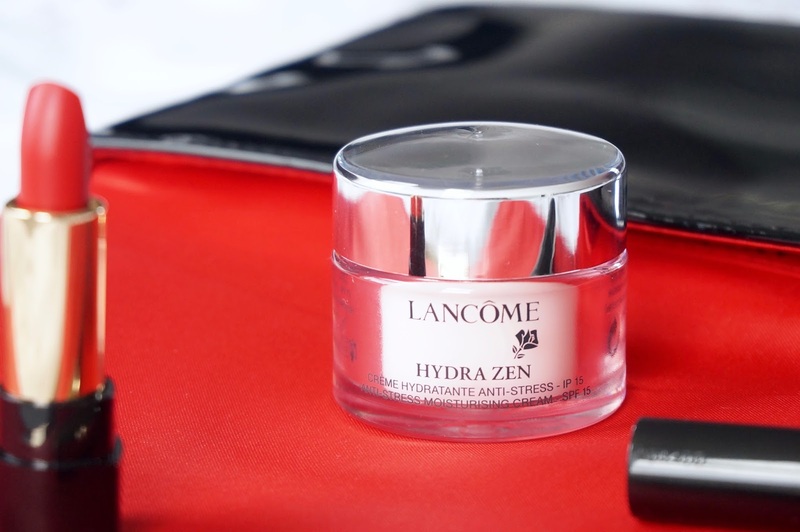 I love how the gift includes their Hydra Zen Day Cream, I used this in a past and really enjoyed it. 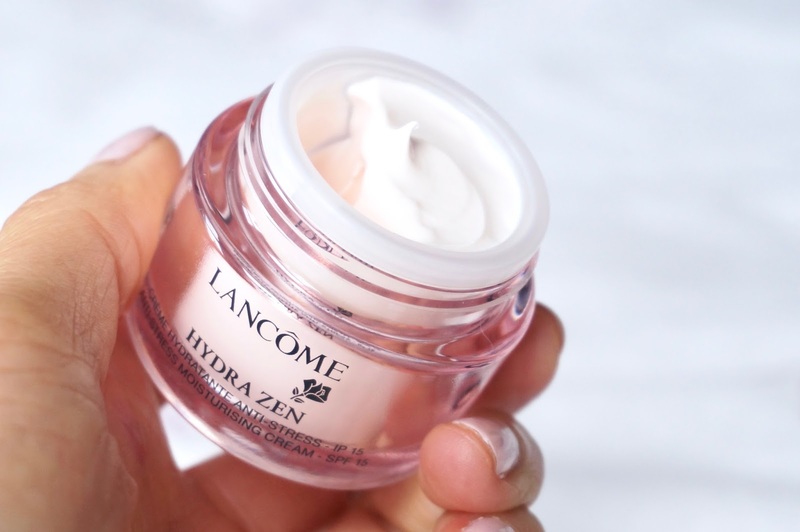 A part from looking super pretty on your dresser, this soothing and hydrating cream keep your skin soft as well as protect your skin with SPF 15. It's lightly scented but nothing too overpowering. This sample size is perfect for travel, event though I'm not a fan of the open lid design, the packaging is nice and luxurious compared to my other creams! 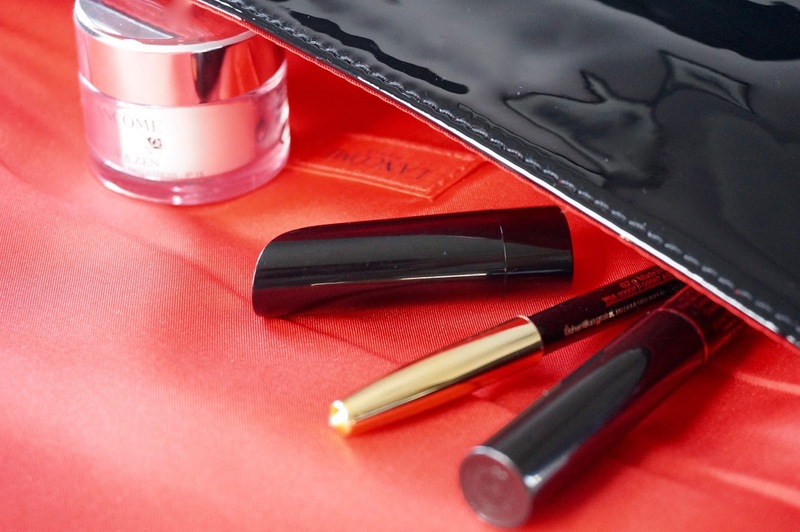 You can't have a Lancôme gift set without including their iconic Hypnose mascaras. 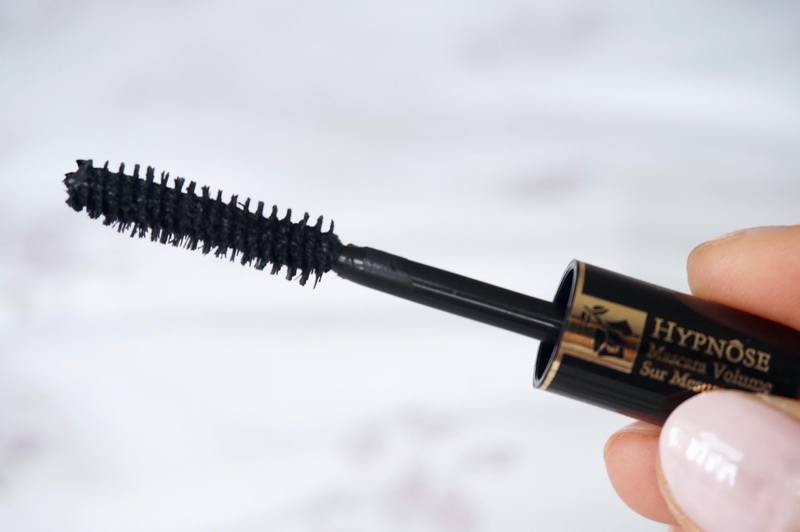 Even though I prefer waterproof mascaras, this one definitely brings the drama and volume! The wand is nice and thick, grabbing every lash and adding looks of colour. Their Khol Eye-liner is also one of my favourites, this thing doesn't budge from your eyes! This is great to use above and below the lash line for added intensity and definition. Even though I love MAC Rubywoo, I always welcome more red lipsticks to my collection! 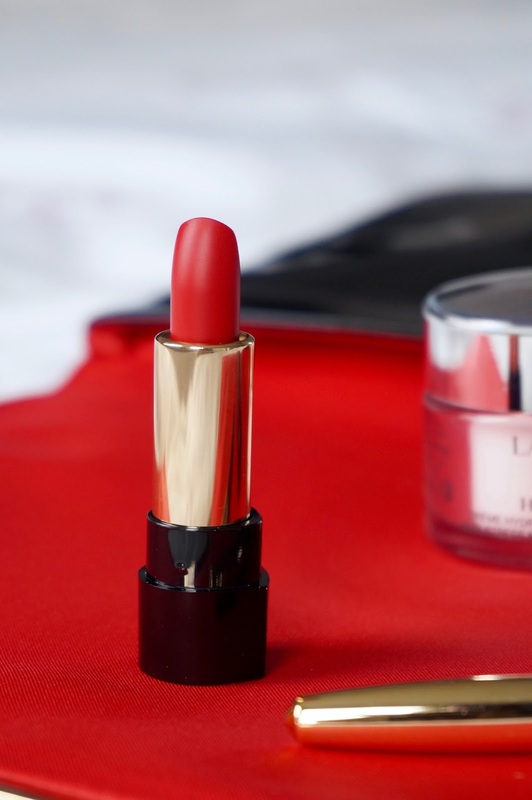 I was pleasantly surprised with the formula of the Lancôme L'absolu Rouge Lipstick, it's super soft and felt like silk when I applied on my lips. A gorgeous bright cherry red with a satin finish. This is as close as I'll get to feeling Parisian, haha. It claims to have 8 hours wear, I did notice the colour fading evenly without flaking off. It also has SPF 12, handy to protect your lips. *Item gifted, affiliate links used see my disclaimer. 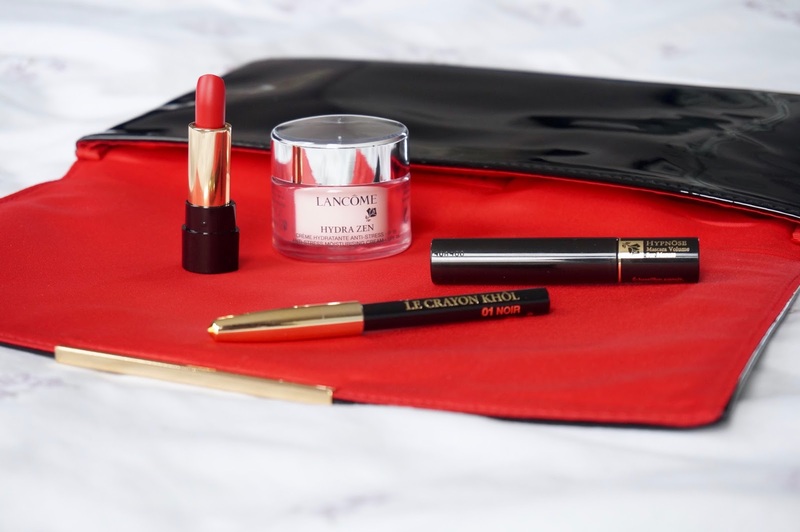 Have you got your eye on anything from Lancôme?